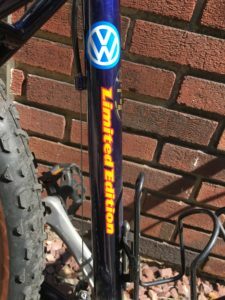 Back in 1996, Volkswagen partnered with Trek bicycles, offering a special VW Jetta Trek edition that came with a Trek mountain bike and a roof rack to put it on. The following year, they also offered a VW Trek Golf. One of those bikes turned at a charity bike store, and, although I’ve never owned a VW, I picked it up because, as it says on the frame, it’s a Limited Edition. The 1996 Jetta Trek Limited Edition Sedan started under $16,000 and came with either a five speed manual or four speed automatic. 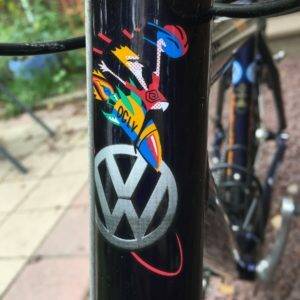 The VW Trek bike came with 21 speeds and custom seat, handgrips, and special graphics: a dude on a multi-colored rocket, orbiting the VW logo, and holding…something? 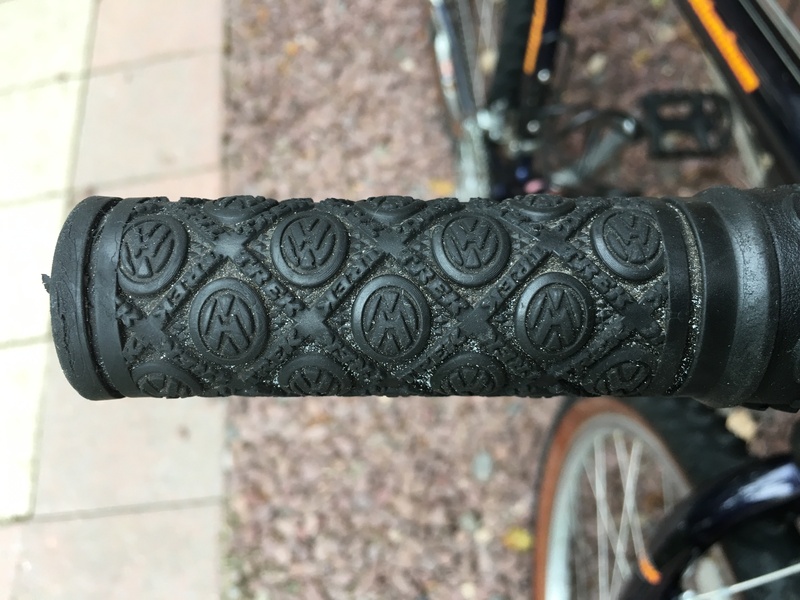 Details on the bikes are a bit harder to find. The 1996 ones had a steel frame, but this one has an aluminum frame, which may be the 1997 version. The OCLV on the rocket stands for Trek’s patented carbon fiber, but it’s unlikely that there’s any of it on this bike. 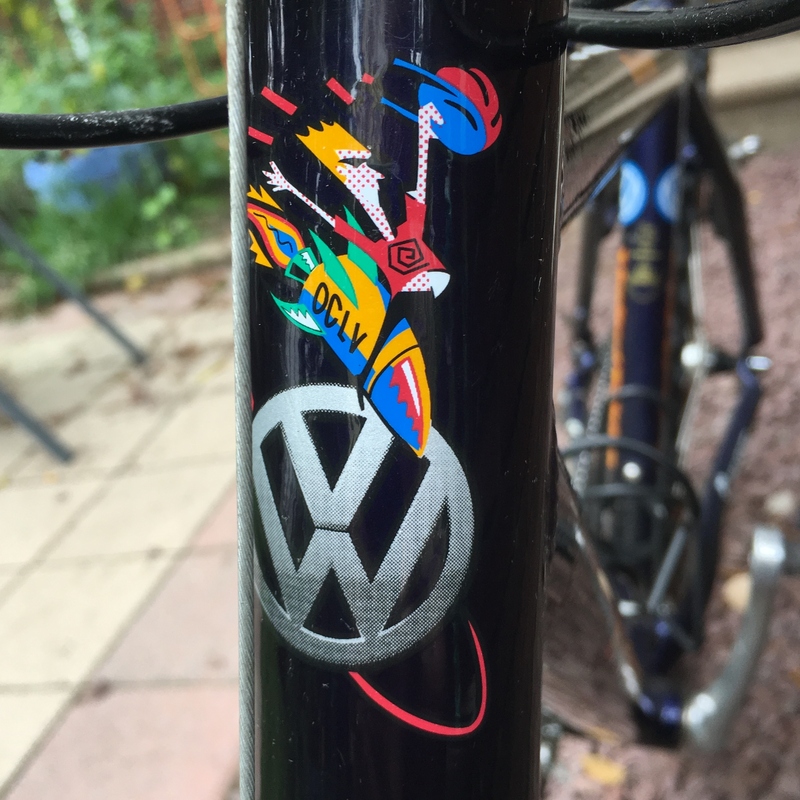 A few parts had been replaced in the past twenty years, including the saddle (which also would have had that rocket boy logo), but it still has the original VW hand grips. 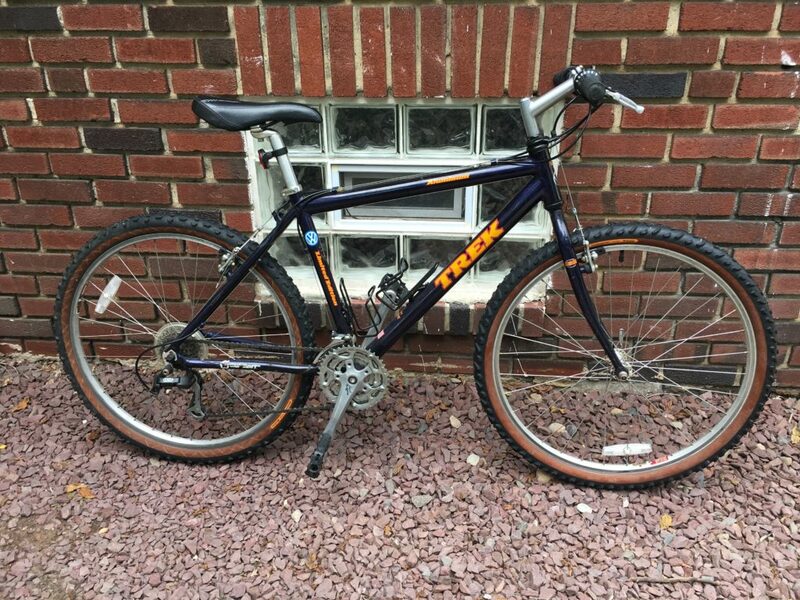 It’s definitely in better shape than some of the Trek Edition automobiles out there: Junkyard Gem. Thanks for asking, but I’m planning to hold onto it for now.